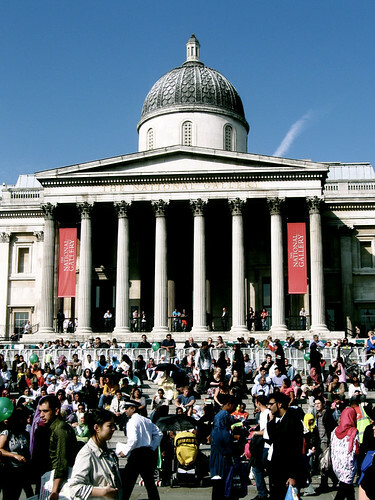 This is the fourth year that Trafalgar Square has been used to host post-Ramadan festivities for London's Muslim community. 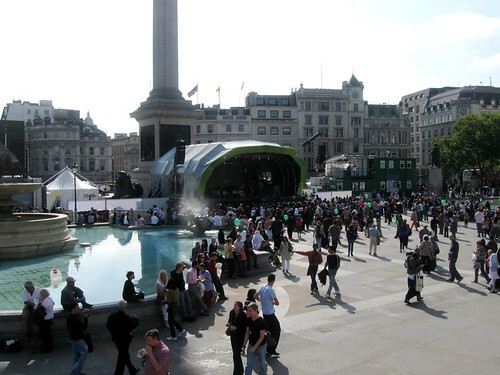 Even so, today was only my first time experiencing '‘Īd in the Square'. I did have a good time; but I attribute that more to the gorgeous weather, and the wonderful company I was blessed with. 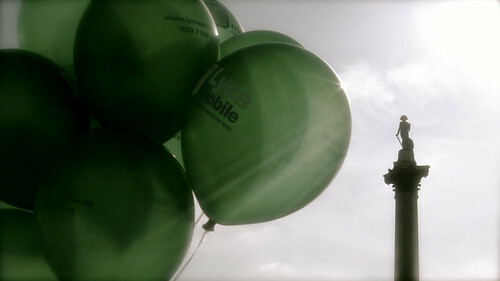 The event itself was 'alhamdulillah': a good effort, but I'm not sure that I will return next year. Though I did like the fact that there were plenty of non-Muslims walking about, checking the stalls, and generally mingling in. I guess it's good for us to be seen enjoying ourselves, with our families and loved ones, i.e., Muslims can haz fun! 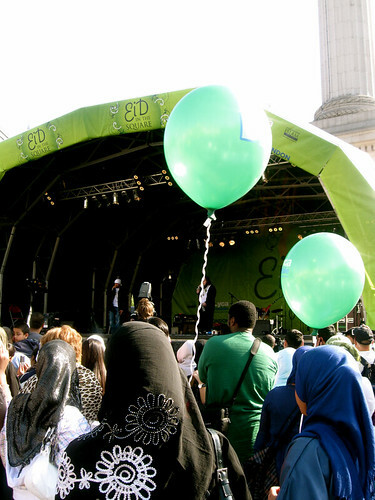 Eid is supposed to be a Islamic day….why there is music? Well, strictly speaking, every day is supposed to be an Islamic day for Muslims. Like GPU, there was some good, and some bad. But it wasn’t all instrumentals. They had vocal-only nasheeds, and speeches, etc. But yes, also music with an entire orchestra! I have to say, I stayed for 20 minutes wishing I could turn my hearing off temporarily to shut the bad poetry out. That is, in fact, my usual reaction to English-language nasheeds. And what were the Isma’ilis doing on the programme? 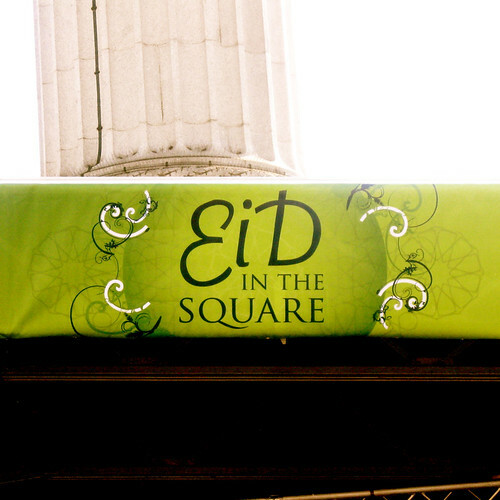 I thought Eid was a Muslim event. I have no idea who was on the programme, or who was responsible for the guest list… Everyone has a different definition of ‘Muslim’ and ‘unity’, and if different Muslim sects celebrate Eid as well, I wonder why they should be excluded per se? Especially as non-Muslims were not (for example, they displayed video speeches from the leadership of the main political parties). This was not billed as an Islamic event – more like a community event, and as such, I did not expect speeches on Islam, or the prohibition of music. 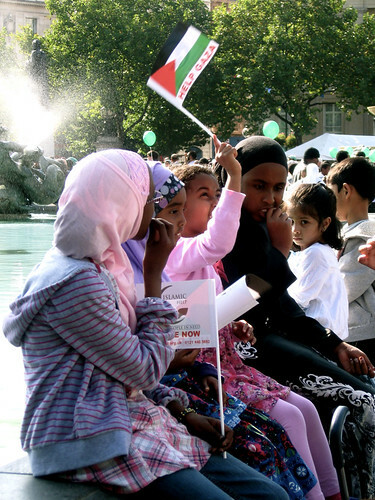 I went mainly out of a sense of curiosity, and to witness the good of Muslims coming together. Perfect we are certainly not, therefore such events will fail to be so too. The least we can do is praise the good, when complaining about the bad, else we just come across as typical whiny Muslims, who never have anything nice to say about anything.